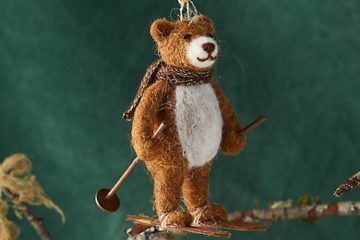 Make merry this holiday season with the help from this gift list curated by our editors! 1. 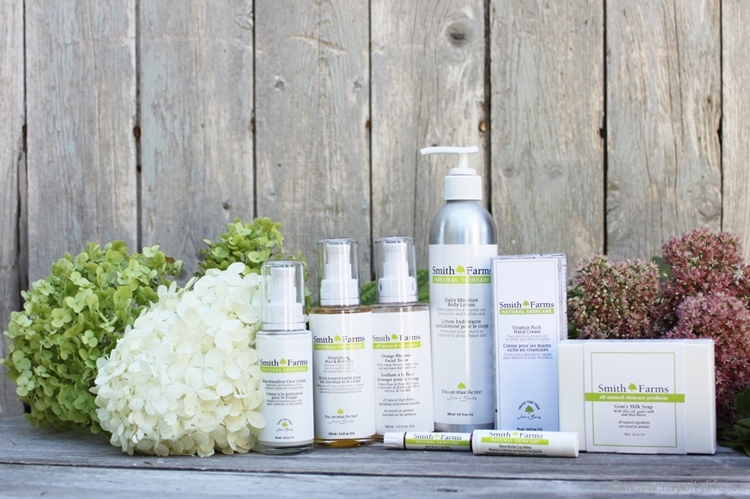 Simple Beauty: Smith Farms is a line of all-natural skincare products made to have your skin looking and feeling its best, even throughout our harsh winters. 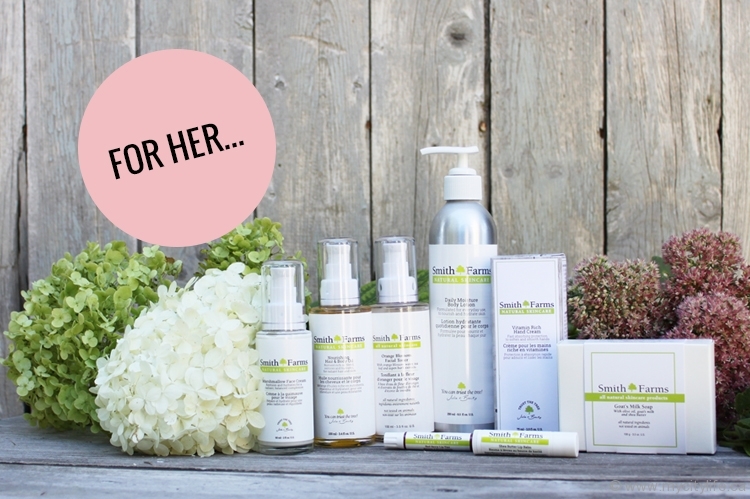 The popular Classics Gift Set includes the Vitamin Rich Hand Cream, Goat’s Milk Soap and Shea Butter Lip Balm, just to name a few! 2. 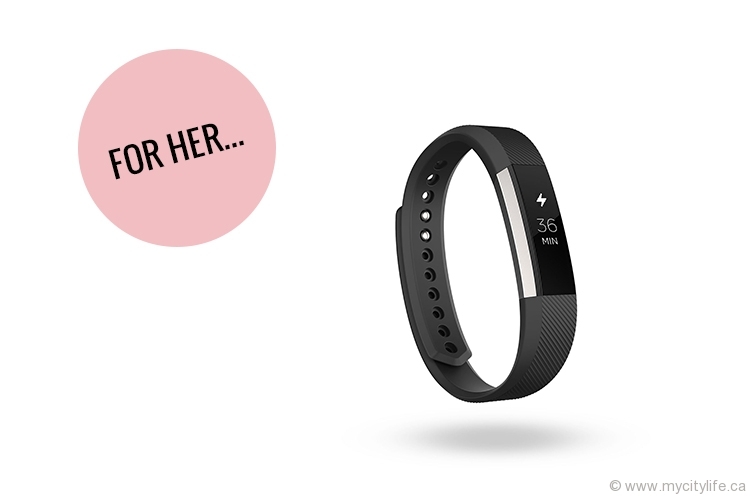 Fitbit Alta: This slim, sleek fitness wristband is as versatile as your personal style. Stay motivated with all-day activity stats on a bright OLED display and reminders to move that keep you active every hour. Fitbit Alta makes tracking your workouts effortless with SmartTrack automatic exercise recognition. As a smart wristband, Fitbit Alta allows you to stay connected with call, text and calendar notifications on the display. At night, track your sleep automatically and set a silent alarm. With accessory wristbands in stainless steel and genuine leather, you can find the right style for every occasion — day and night. 3. 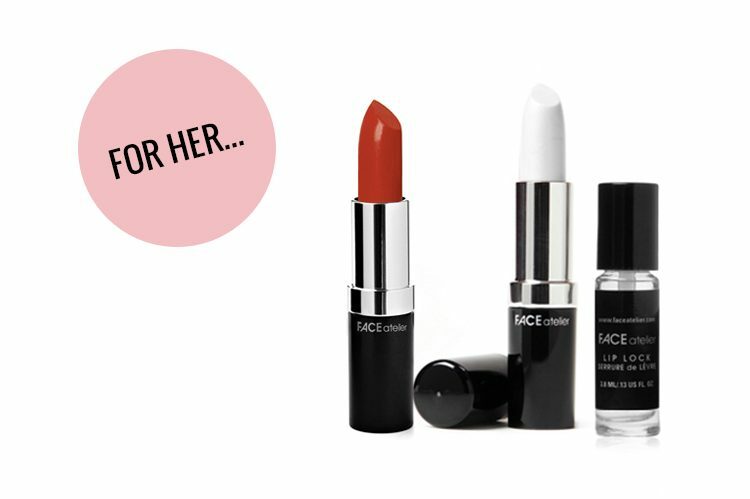 Lip Putty by FACE Atelier: FACE Atelier is the perfect makeup brand for beauty lovers with a conscience. All its products are 100 per cent cruelty free; the brand doesn’t test on animals and is PETA approved. 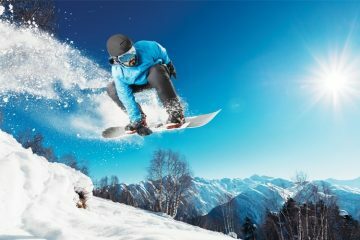 One of its most popular products this winter is the Lip Putty. This magic stick is the ultimate lip primer, filling in those fine lines in and around your lips, while eliminating colour bleeding, blurring and blotching. 4. 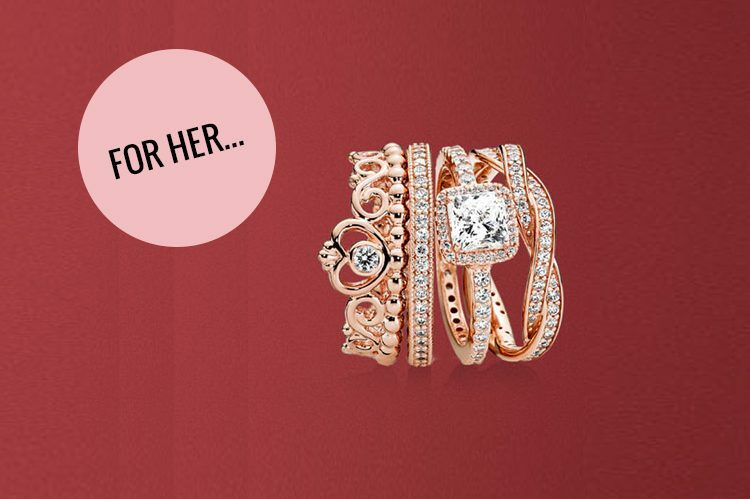 Rose Gold Collection by Pandora: Pandora’s rose gold collection of rings, earrings and charms is simply breathtaking. The blend of metal and ice is just what she was looking for to spruce up her favourite looks. 5. Bangle by Luna and Co.: The ornate florals in this Annual bangle are a statement on their own — the white gold filigree design contrasts perfectly with the rose gold border. 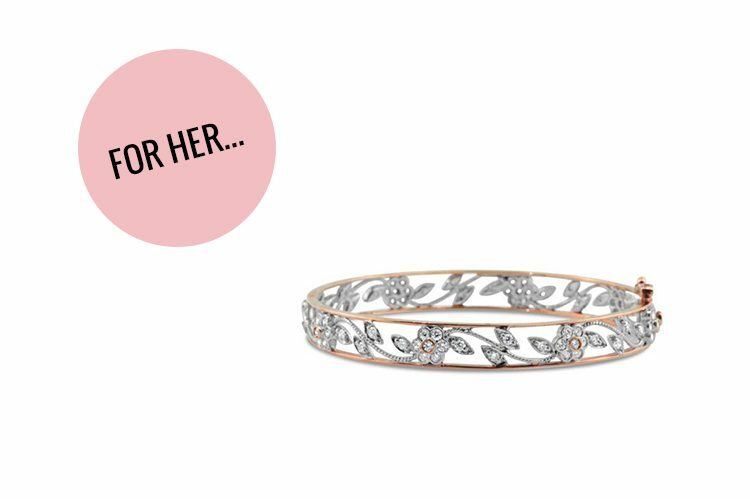 Perfect for the beautiful rose in your life, or yourself, the bangle is timeless. 6. Jewelry by AMEN Collection: Finch Centre Jewellers in Woodbridge offers many stunning collections, but among their most meaningful is the line of scripture-inscribed jewelry by AMEN. From rings to bracelets to even necklaces, these pieces encourage and inspire loved ones to keep faith. 7. Beats by Dr. Dre Studio™ Over-Ear 2.0 Headphones: The perfect gift for your music lover. 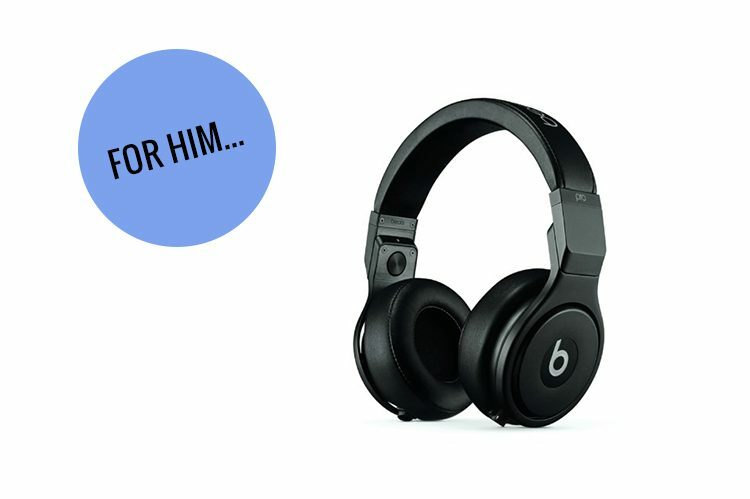 These noise-cancelling headphones promise a crisp listening experience, not to mention the leatherette ear cushions are comfortable enough to wear everywhere from the gym to the beach. 8. 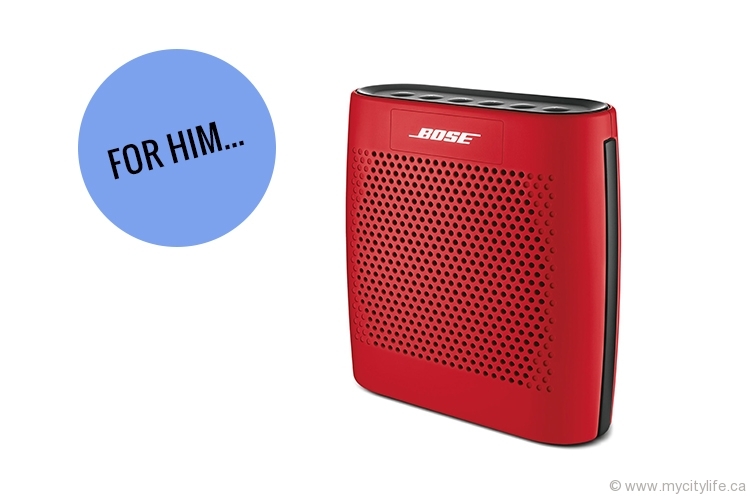 Bose® SoundLink Colour Bluetooth Speaker II in “Coral Red”: The optimal gift for the life of the party — take your music anywhere! This portable speaker pairs with mobile devices, phones and computers. Not only does it have a wireless range of up to 30-feet, the battery life is just about 8 hours! 9. Biotherm Men’s Gift Set: Gift him a collection of the top products from the #1 brand for men skin care in Canada. The four-piece set includes all the smooth face essentials for winter – cleanser, shaver, eye cream and signature supreme crème. 10. 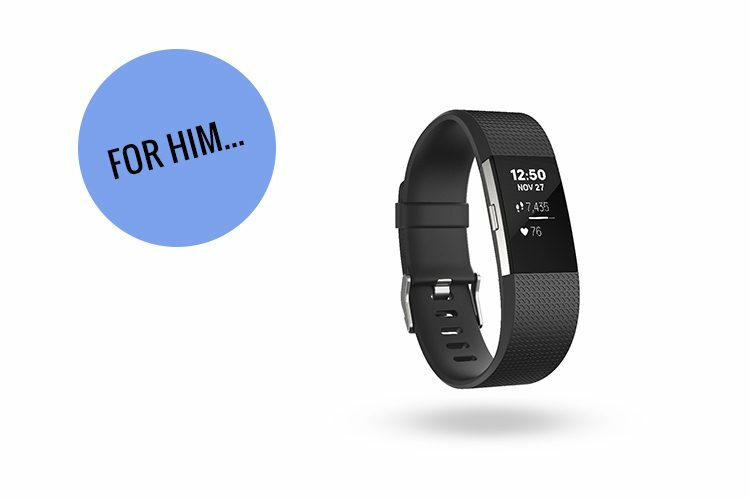 Fitbit Charge 2: Fitbit Charge 2 is Fitbit’s most popular fitness wristband reimagined, featuring an enhanced exercise experience, new health and fitness tools powered by PurePulse® heart rate tracking, the smart notifications you need most, and a new sleek design with a larger display and interchangeable bands to easily let you go from a workout to a night out. 11. 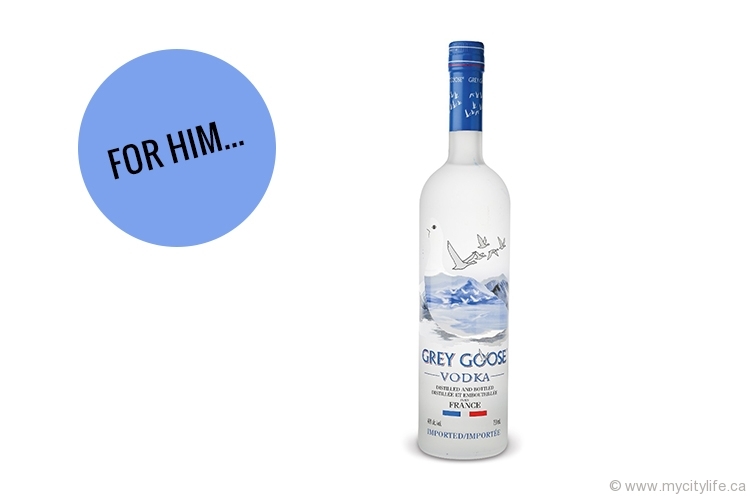 Vodka by Grey Goose: Get loose with Grey Goose! The popular vodka brand has something for everyone on your list, including a perfect sampler of Grey Goose’s classic vodka alongside three premium flavours: l’Orange, Cherry Noir and La Poir, for the cocktail lover. 12. 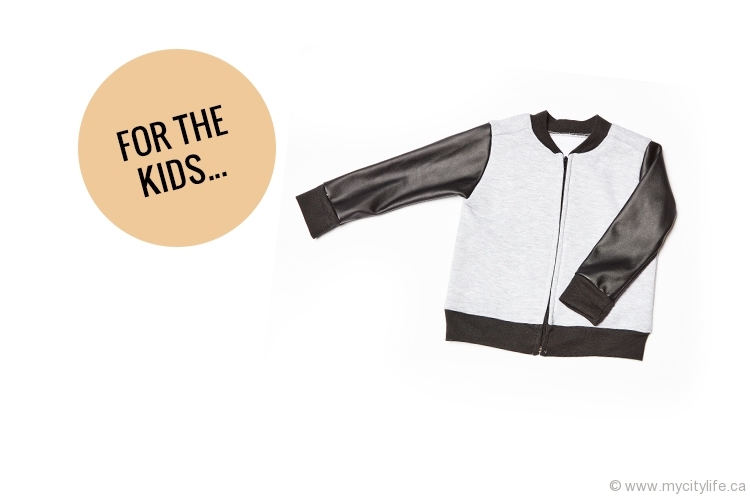 Clothing by marQ: marQ’s stereotype-free clothing, like the empire varsity jacket and noble harem pants, are not only stylish but also socially conscious and comfy for your littlest treasures. 13. Gigantic Keyboard Playmat: This rollout play mat allows kids to record their own compositions and play them back! 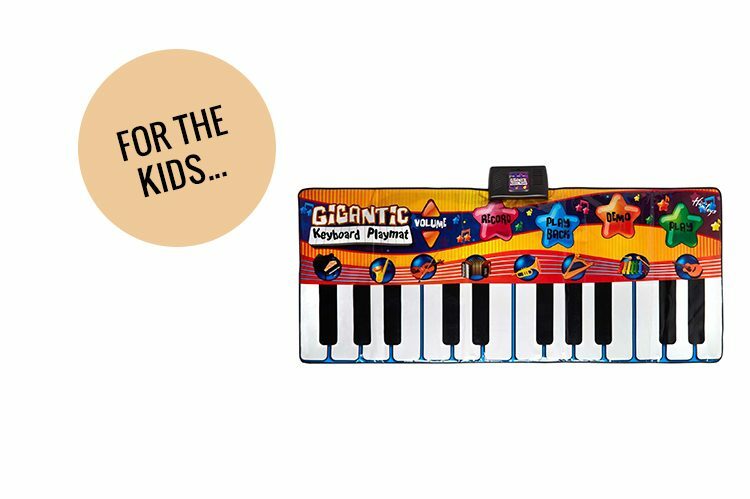 With the Gigantic Keyboard Playmat kids can choose from the piano, violin, guitar, saxophone and more! 14. Star Wars Air Hogs Death Star Battle Set: With Rogue One hitting theatres this holiday season, we’re sure this item is hot on kids’ wish lists. 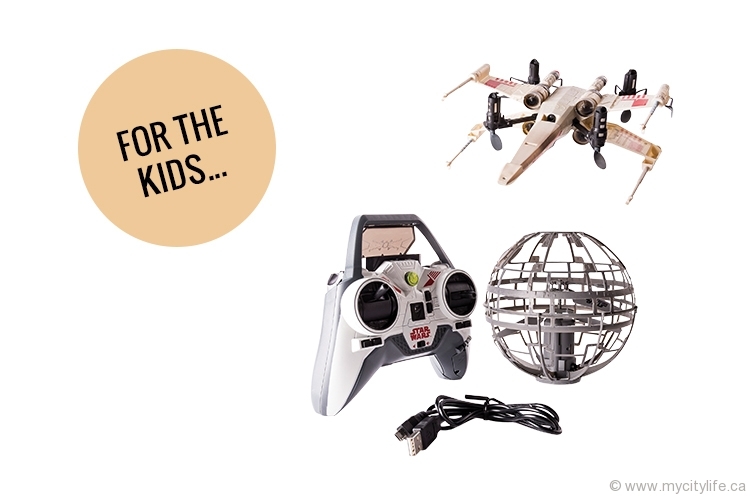 The Star Wars Air Hogs Battle Set features unique augmented realities to battle the Death Star. 15. Jungle Headquarters Playset: The popular television series Paw Patrol has come up with yet another hot item this holiday. 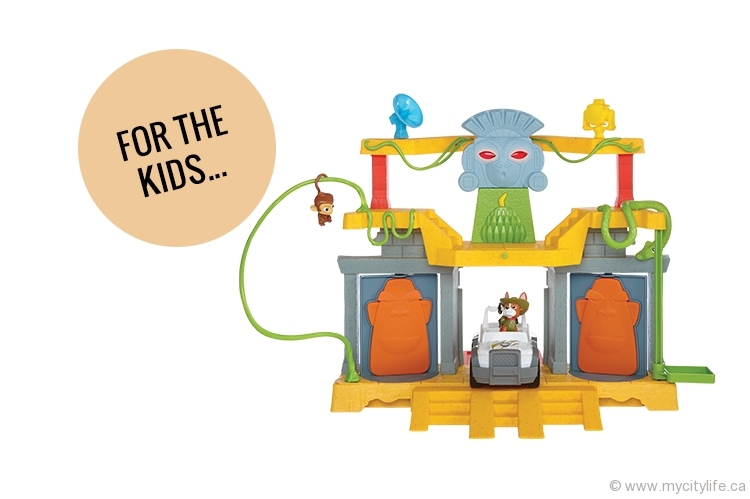 The Jungle Headquarters Playset is perfect for tikes ages three and up. 16. 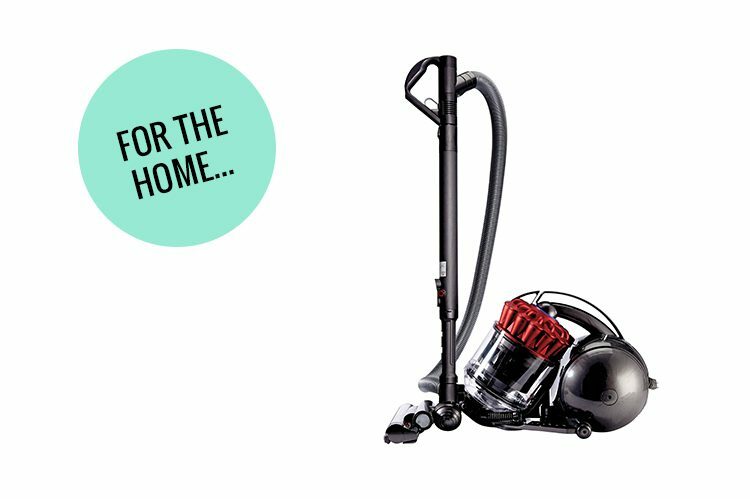 Dyson DC37 Multi-Floor Pro Canister Vacuum: We can’t believe how adorable and compact this powerful vacuum really is. It’s lightweight and utilizes ball technology for easier steering around obstacles. 17. 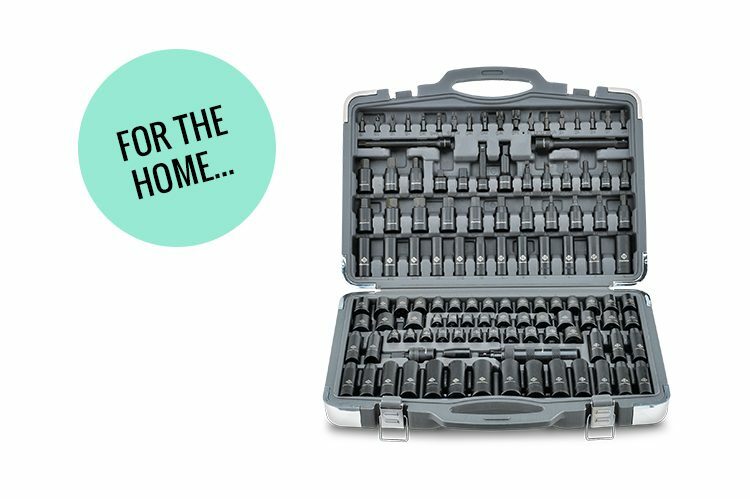 Mastercraft Maximum Impact Socket and Tool Set, 119-Pc: This is finally the year you’ll finish up those odd jobs around the house, and Canadian Tire has just the set to help you do it! The anti-rounding radius corners spread force over a larger contact area to extend life of fasteners. 18. 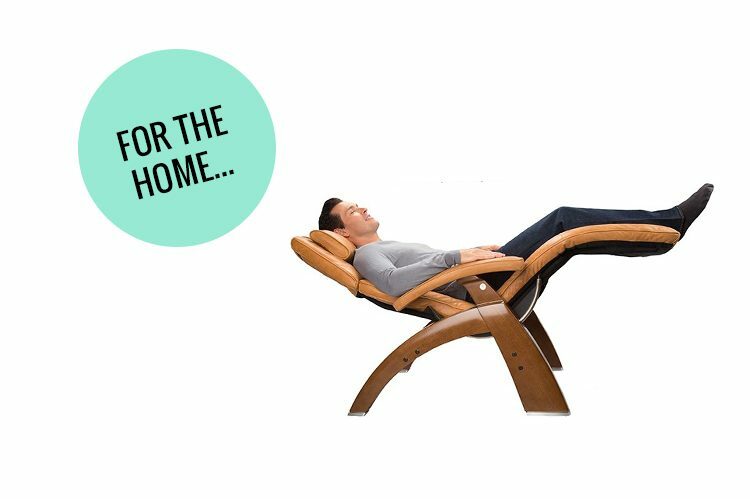 Omni-Motion Perfect Chair: Blending contemporary architecture with old-world craftsmanship, the PC-610 by Human Touch uses smooth power recline to independently position your recline angle and leg elevation into infinite comfort positions, all at the touch of a button. 19. 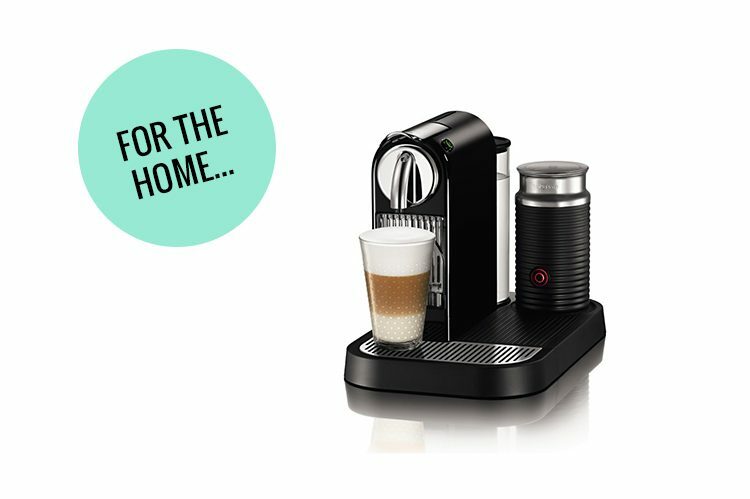 Nespresso CitiZ Limousine Black Coffee Maker: We love how sleek and stylish this new Nespresso machine is! The Red Dot award-winning compact design fits in to any urban kitchen without taking up too much space and makes the perfect drink every time — even the espresso novice will feel like a barista pro! 20. 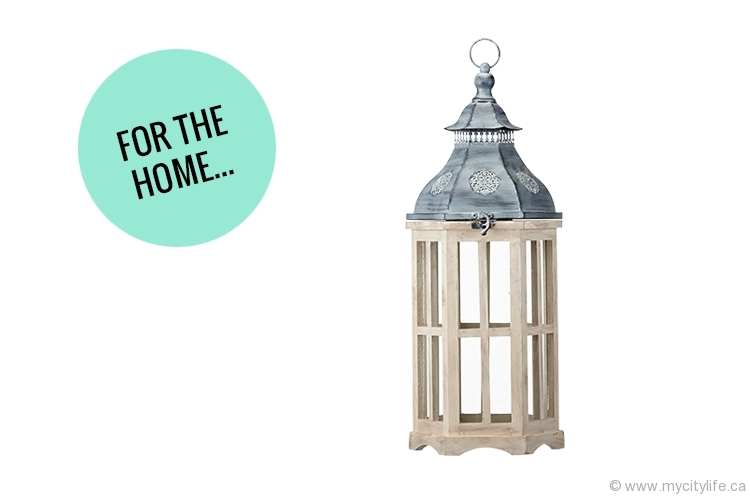 Hexagon Tin Lantern: This classic piece adds the perfect touch of elegance to any room. Spruce it up by adding your favourite candle or potpourri inside! 21. Bouquet by Edible Arrangements: Even more beautiful than a bouquet of roses is one of chocolate-dipped fruit. 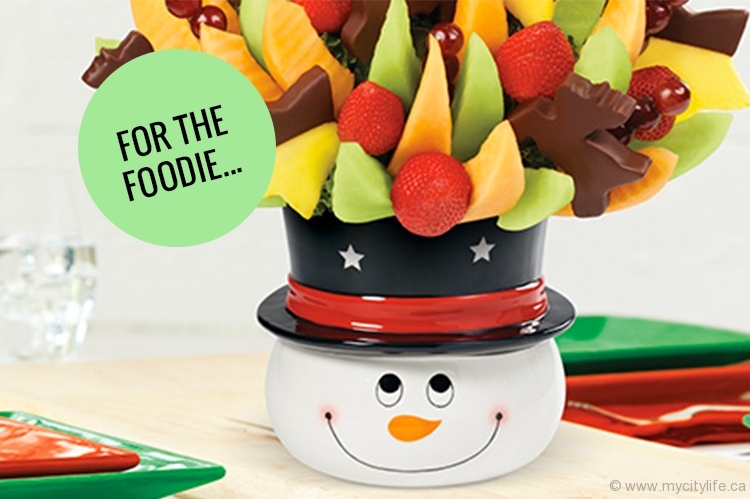 The foodie on your list will certainly appreciate the handcrafted bunch of apples, bananas and strawberries — all customized to their taste, of course. Edible Arrangements works within your budget to create the perfect gift. Order your holiday arrangement today! 22. Villaggio Ristorante Gift Card: They say the stomach is the quickest way to the heart… or is it just us that say that? 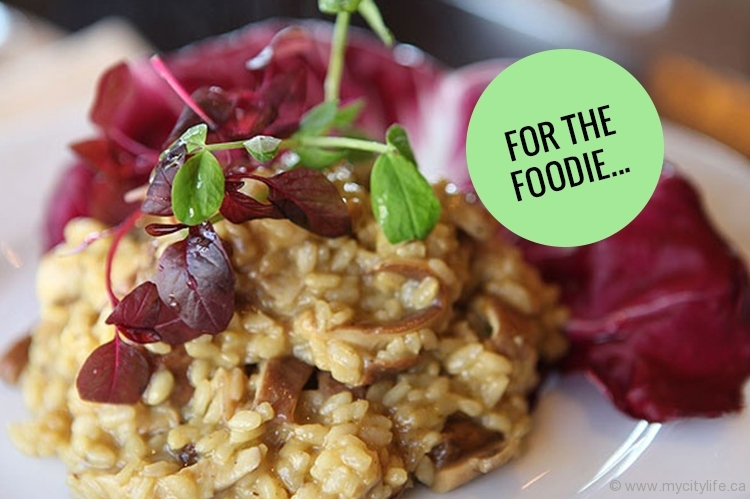 A gift card to this delicious Italian restaurant in the heart of Kleinburg is just what they didn’t know they needed. 23. 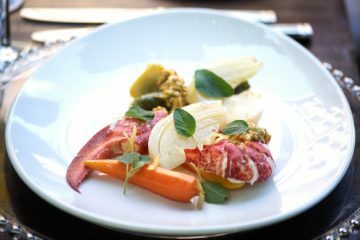 Sarpa Restaurant & Terra Restaurant Gift Card: Under the Substance Food Group umbrella, these two incredible Italian restaurants are a must-try! 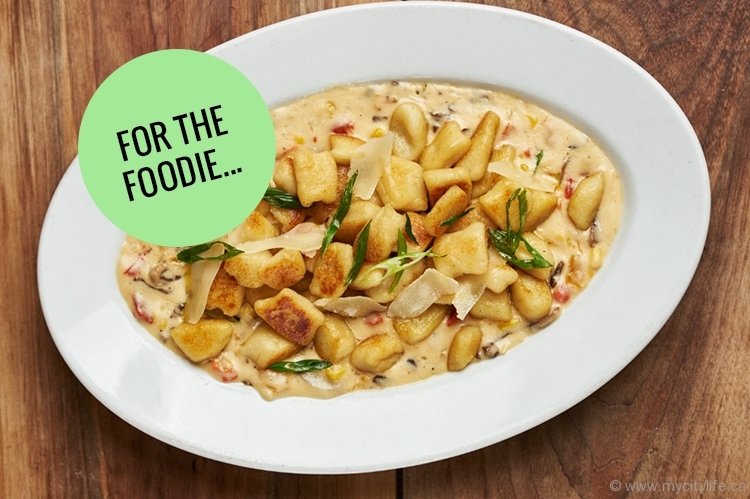 Mouth-watering homemade pasta dishes (we’re thinking gnocchi!) and succulent meat entrees are only a few of the reasons to gift the Substance Food Group experience this holiday season. 24. 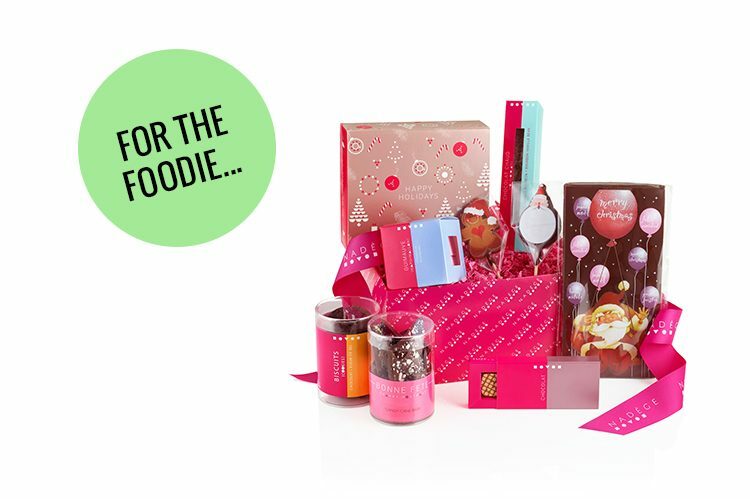 Sweets by Nadège Patisserie: Nadège Patisserie puts together the best looking themed gift boxes with their most popular products. 25. 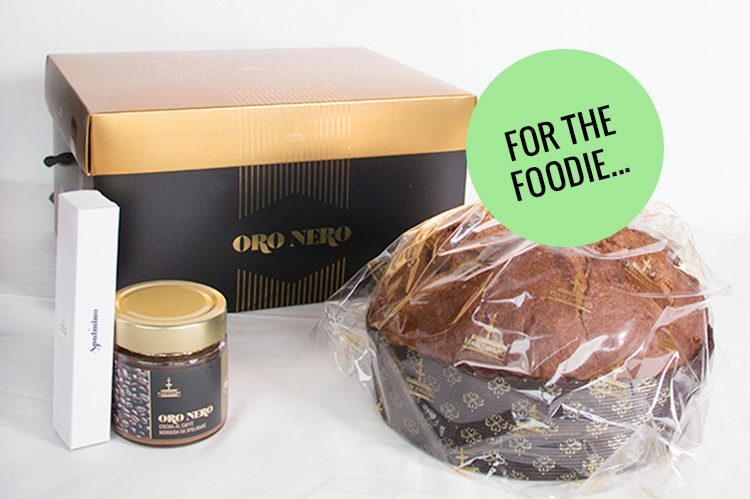 Sogni D’oro: Aurora Importing offers the finest selection of pannetone for your holiday spread, including Fiasconaro’s dreamy Oro Nero with chocolate chips and coffee cream filling. 26. 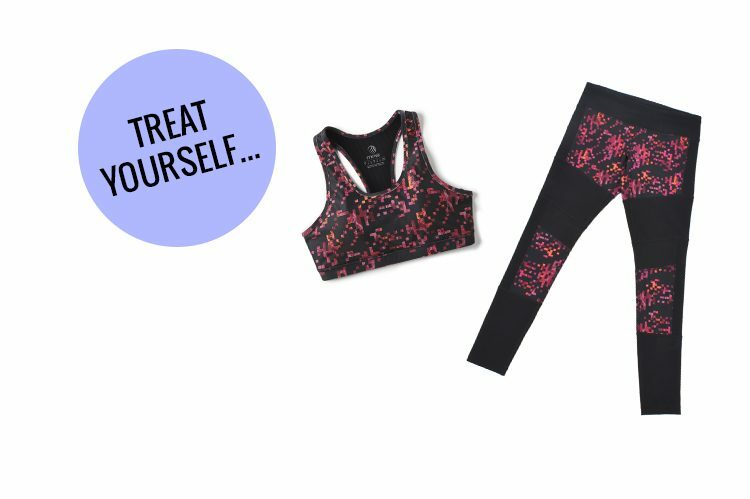 MPG Athletic Wear: This adorable workout ensemble in Pixel Oxblood is reason enough to get yourself to the gym. The excellent stretch recovery and moisture wicking fabric is perfect for getting your sweat on! 27. Integrity Fitness: Take advantage of City Life’s special promotion and get fit this New Year! Before January 15, buy 12 sessions of METCON30 or Paul’s Boot Camp and receive six complimentary sessions. 28. Luxe Swimwear by Shan: Planning a winter getaway? 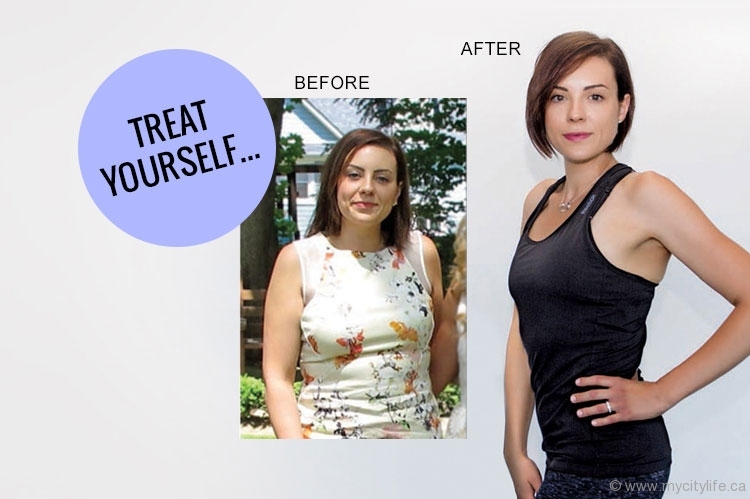 You’ll need the perfect swimsuit. Visit Shan for the best in couture swimwear. All their pieces are proudly Canadian made, and are of the highest quality guaranteed. 29. 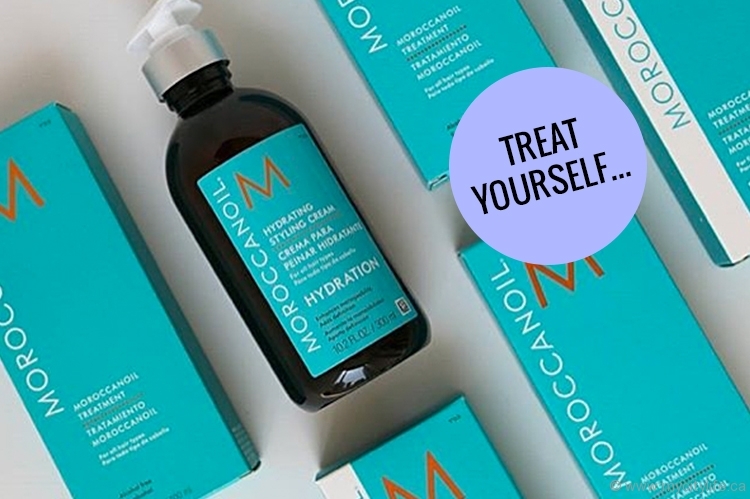 Hair Treats by Moroccan Oil: The Beauty Emporium in Maple offers the complete range of the Moroccan Oil’s treatments, creams and oils. Moroccan Oil products are virtually liquid gold in the harsh winter months — plus it smells amazing! 30. Idol Bomber Jacket by Alo: UGOSporty curates only the trendiest and comfiest in athleisure, and this bomber jacket definitely tops our list. The piece is lightweight and perfect for layering this winter and transitions perfectly into spring.